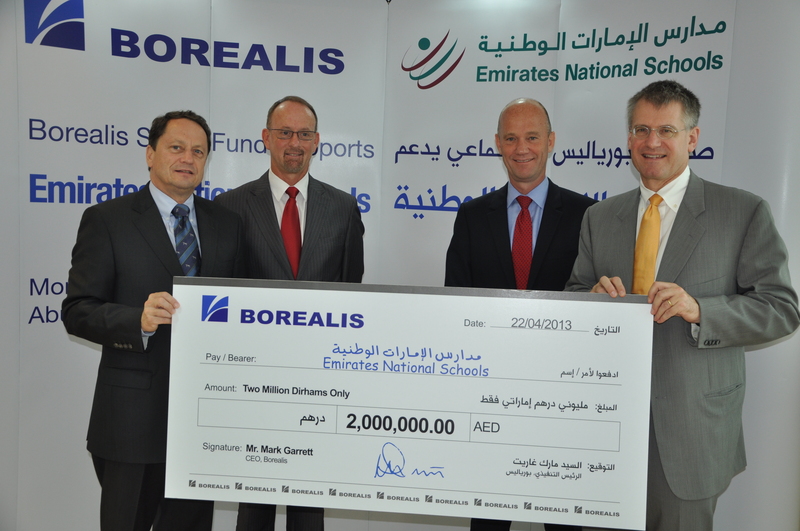 Borealis, a leading provider of innovative solutions in the fields of polyolefins, base chemicals and fertilizers, has announced it will present AED 2 million to support the educational process at the Emirates National Schools and another AED 2 million to the UAE Disabled Sports Federation to raise awareness about the needs of the disabled. 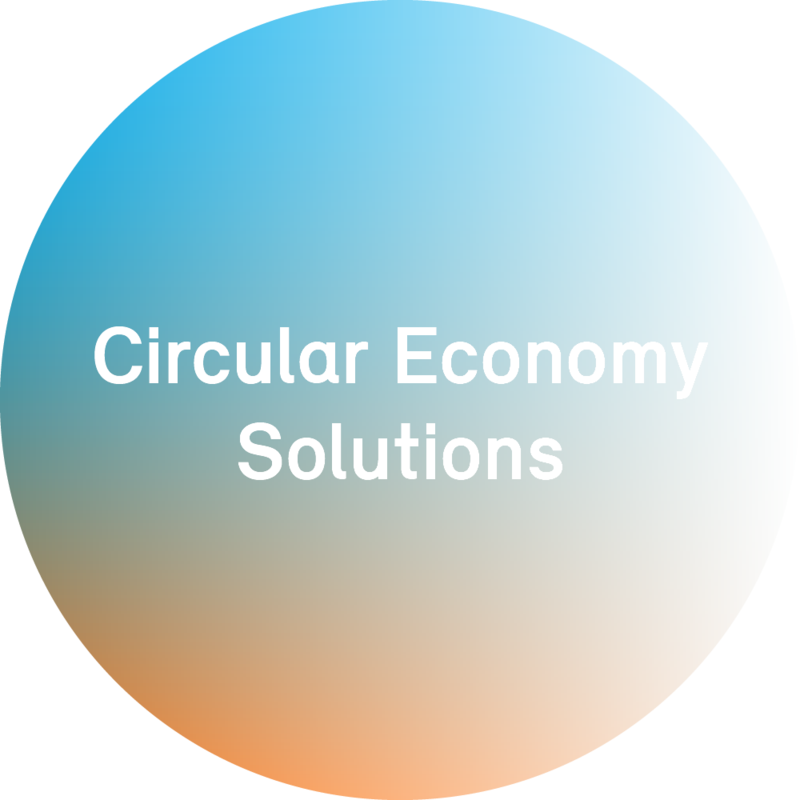 The amounts have been made possible by the Borealis Social Fund which was launched in 2008 and whose aim is to contribute to the social welfare of the communities in which Borealis operates. H.E. Ahmed Mohammed Al Hamiri, Secretary-General of the Ministry of Presidential Affairs and Chairman of the Emirates National Schools, praised the Borealis initiative, appreciating its role in supporting the educational system in the UAE. He highlighted that this initiative reflects the importance of the social role of the companies operating in the country, which also supports the development process of public services in general, and the educational services in particular, with education being a fundamental pillar for the development of societies and sustainable human development. H.E. Khadem Al Qubaisi, Chairman of Borealis' Supervisory Board and Managing Director of the Abu Dhabi-based IPIC (International Petroleum Investment Company), said that business sustainable development is only possible in a healthy environment and stable society. He stressed the company’s keen interest in contributing to the well-being of communities where it operates. H.E. Al Qubaisi added that Borealis’ initiative will help nurture enthusiasm for all kinds of science among the students of the Emirates National Schools at their earliest possible age. While the company’s support to the UAE Disabled Sports Federation will help raise public awareness about the special needs of the disabled and facilitate their active integration into society. H.E. Mohammed M. Al Hameli, Deputy Chairman, Secretary-General of the Zayed Higher Organisation for Humanitarian Care and Special Needs and Chairman of the UAE Disabled Sports Federation, hailed Borealis’ initiative pointing out that the UAE Disabled Sports Federation is dedicated to making sure that disabilities are never roadblocks to success. He noted that Borealis has established a social tradition in supporting the educational and social work in the UAE community. Dr Kenneth Vedra, Director General of the Emirates National Schools, extended his thanks to Borealis for supporting the educational activities of the schools. He said that the noble mission through which the Emirates National Schools operate is to imbue among the students a desire for knowledge and excellence. This initiative will enable the schools to continue developing its educational programmes in science and engineering. Borealis Chief Executive Mark Garrett stressed his company’s interest in cooperating with all the UAE national institutions to contribute to the improvement of the well-being of the people and encourage the younger generations to acquire knowledge and science. He added that Borealis is underscoring its commitment to international outreach in the Middle East and in Europe. Borealis has presented a total of AED 10 million to various charitable, humanitarian and educational organisations in the UAE including the Emirates Foundation for Philanthropy, the Red Crescent, the Zayed Higher Organisation for Humanitarian Care, Family Development Foundation, and other select charities.